The flu shot debate is always an emotional one. Supporters on both sides are convinced they are right and that anyone who decides otherwise is simply misinformed. This article will not be emotional. It's simply going to present the facts. The information contained here was not gathered from internet websites or blogs. It came from peer-reviewed literature written by scientists with the best credentials for commenting on the topic. In 1957 – 1958, a terrible flu outbreak swept the US and resulted in a massive outcry for health agencies and the government to act. Medical options were limited at that time, so in 1960 nationwide flu vaccination became strongly recommended by the US Surgeon General. This launched the beginnings of a precedent which is still in effect today, mainly that everyone over the age of 6 months should get a flu shot each year. Unfortunately, not one shred of data existed to support the mandate. There were no scientific studies done to warrant this move by health officials, and there have been no scientific studies done since that prove flu shots are either safe or effective. So even though millions more people are getting flu shots since 1980, it has not been shown that flu deaths are decreasing as a result. The next time you're thinking of getting a flu shot, read the product insert carefully. You'll find some pretty unsettling statements regardless of the vaccine manufacturer. They tell you themselves, in very small writing, that "There have been no controlled clinical trials demonstrating a decrease in influenza after vaccination..." and that "this vaccine has not been evaluated for carcinogenic or mutagenic potential." This is basically telling you, in purposefully confusing language, that no scientific data exists showing that the flu shot protects you from getting the flu, and that no science is available proving it won't give you cancer. The insert will also give you a list of reported side effects, most of which should be great cause for alarm. Every year, as winter approaches, the flu shot campaign gets underway with an intense plea for seniors to get their vaccines. As a result, millions of adults age 65 and older are vaccinated at the request of their physician. There is absolutely no scientific data which proves that vaccinating the elderly protects them from the flu or from dying from the flu. All available statistics are nothing more than observational data and not the result of randomized, placebo controlled trials. The article goes on to explain that only rarely is the upcoming seasonal flu strain ever predicted with any accuracy. 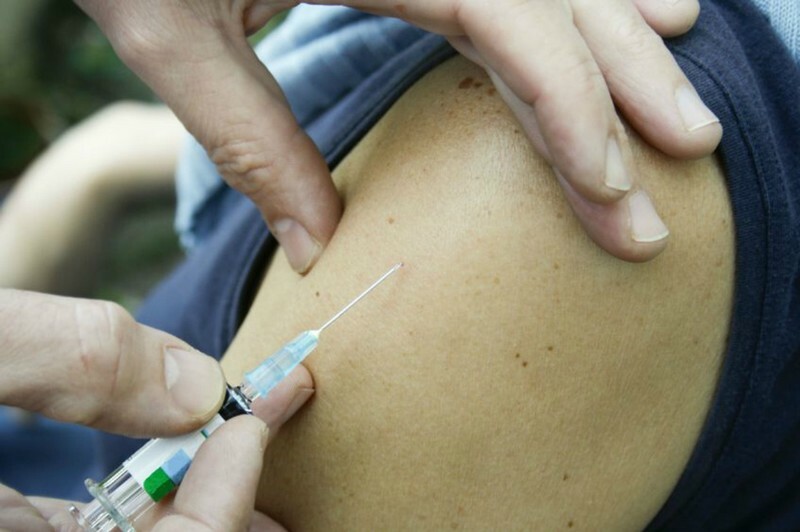 On rare occurrence when it is matched correctly, however, 100 people need to be vaccinated to avoid one set of influenza symptoms, and there is no evidence that vaccines affect complications (such as pneumonia) or transmission. How can this be? All the pamphlets, fliers, and other flu shot advertisements report up to a 85% effectiveness rate! Let me show you how these statistics are reported and why you shouldn't trust them.